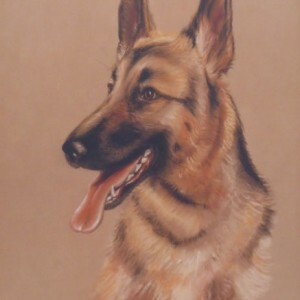 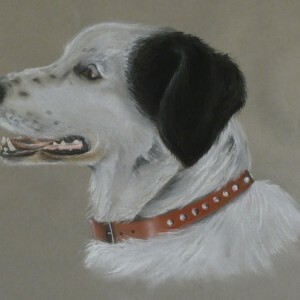 From the time she was just able to hold a pencil and brush, drawing and painting has occupied much of Pamela’s time. 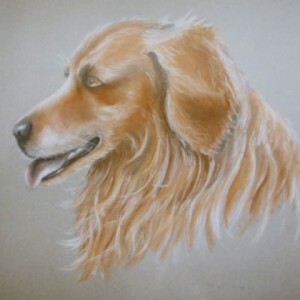 At school art classes were always a favorite and as a young girl ballet became a passion so dancing figures were doodled on school books and on any available paper. 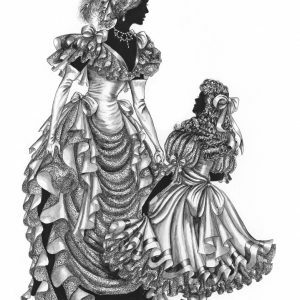 Following her interest in both ballet and art, a love of costume was formed and from this the “Silhouette” ladies gradually evolved over the past fifty years. 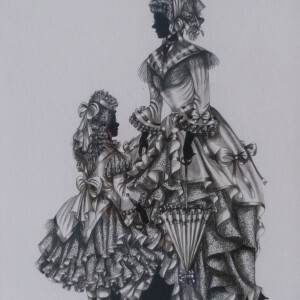 The designs of the ladies dresses are from Pamela’s imagination depicting styles of the Victorian and Edwardian era adorned with satin ribbons, Ostrich feathers and an abundance of lace achieved by hundreds of dots and a wash applied giving the shading effect of deep folds and frills. 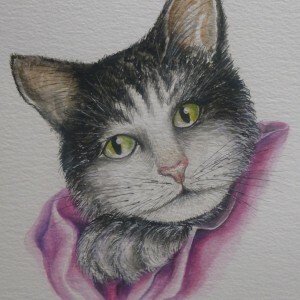 Pamela enjoys painting a wide variation of subjects and specialises in still life studies of fruit and flowers on marble and wood with reflected surfaces. 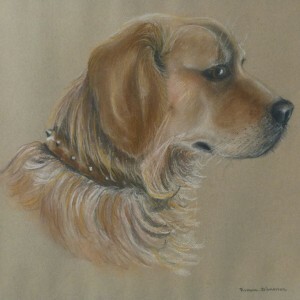 The surrounding countryside, coastal views and seascapes are also a source of inspiration as well as dog portraits. 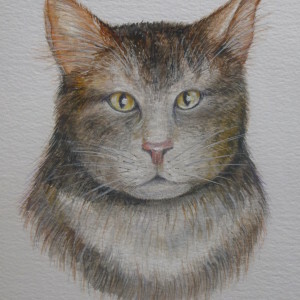 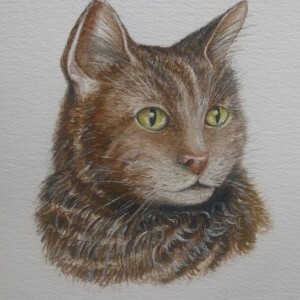 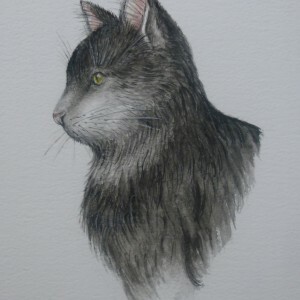 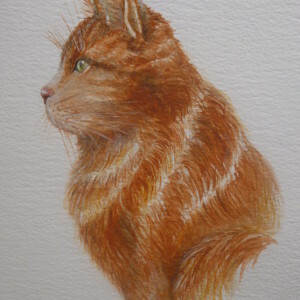 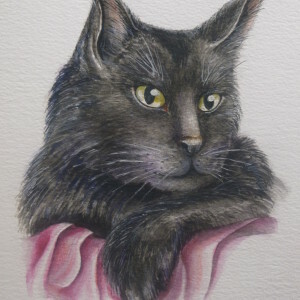 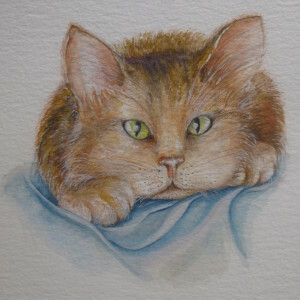 “Cats” are Pamela’s latest subjects and through sketching and studying her friend’s feline companions a set of various breeds have been produced in watercolour, with their amazing eyes, individual characters and marvelous coats of fur, they have proved to be a joy to paint. 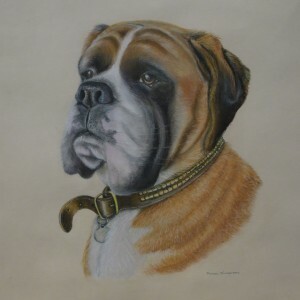 Born in 1948 Pamela began selling her paintings in 1965 when working in an art gallery in Elm Hill, Norwich, several exhibitions of her work soon followed and through the years she has received regular commissions for her work. 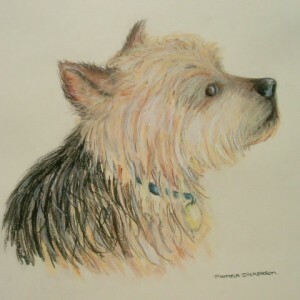 Pamela sells her paintings through Tudor Galleries the art business she opened in 1987.